Robin Boardman tells us what we should be doing to fight the plans for a new Heathrow runway. A vote for Heathrow is a vote for extinction. That was the key message that stuck in my mind over a two-week hunger strike in protest against the airport’s expansion. We need bold messages like this to clear the misinformation surrounding the threat of climate change and the mass extinction of our planet’s inhabitants. We are losing our planet’s lifeforce and propelling society into ruin as we continue to burn fossil fuels through aviation. The UK government, instead of doing everything it can to stop this existential threat, has voted for an airport expansion that will help make human extinction a possible future. The Vote No Heathrow campaign reached public attention on June 4th when eight campaigners were arrested for chalk spraying the Labour Party HQ in London. Over the next three weeks, we organised die-ins, rallies and took part in a hunger strike that saw over 50 people go without food for over 150 days. With the majority of the Conservative party in strong support of the expansion, we targeted our message at the country’s progressive parties who had not declared their opposition to expansion, Labour and the Scottish National Party. Both have an official stance of supporting ‘economic and social justice’ and yet they were undecided on whether to back the expansion. 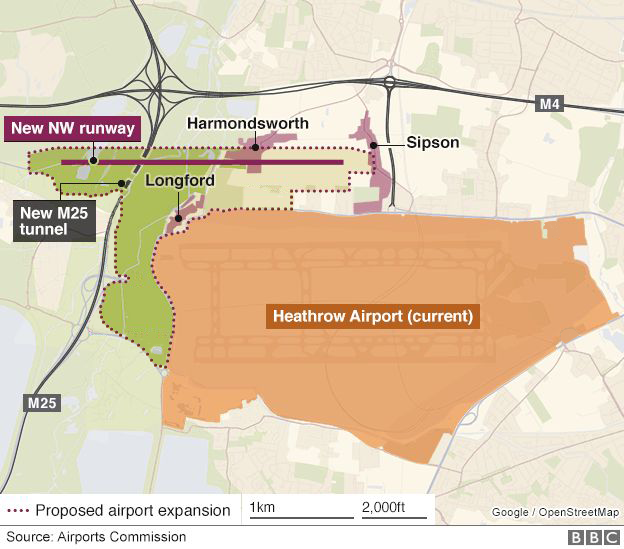 The third runway will make Heathrow the single biggest carbon emitter in the UK. The effects of carbon emissions are already being felt, from unprecedented droughts in Australia to deadly wildfires in California and hundreds still missing after a dam burst in Laos. More planes will also heavily contribute to London’s air pollution crisis, which already kills 20 people a day, disproportionately from poorer and black and minority ethnic backgrounds. Considering that 70% of Heathrow’s flights are taken by 15% of flyers, this was truly an expansion for the few not the many. Our campaign focused on the strong moral argument against the expansion of fossil fuel infrastructure. By voting for the expansion, the UK government has approved a policy that threatens not only the livelihood of its own citizens but also of all organised life as we know it. This is a crime against humanity and our planet. The current sixth mass extinction, which a recent report in the Academy of Sciences has dubbed a ‘biological annihilation’, means that animals are now dying at a faster rate than during the previous mass extinction event 65 million years ago when an asteroid hit our planet. Our continued use of fossil fuels means that we are now increasing carbon in the atmosphere by a rate of 3 parts per million (ppm) every year, a faster rate than that of the Permian mass extinction which destroyed approximately 90% of life on Earth. At this rate we are set to reach 450ppm in 12 years and break the 2°C threshold of the Paris Agreement. The recent heatwave will be the new normal in a decade, the new ‘cool’ in two. This is the scientific consensus and yet our government acts with a ‘business-as-usual’ approach to the incoming climate catastrophe. In 1990, the Intergovernmental Panel on Climate Change knew that a 1°C global average temperature limit would be key to stopping societal collapse. The planet is now closer to 1.2°C; global carbon emissions have increased by 60% and the Arctic has lost 75% of its ice. This is an emergency. Millions of people and animals across the world are going to die, starting in the vulnerable regions of the Global South, if we fail to act now. Their fates may already be locked in. Considering the failure of progressive parties to acknowledge this humanitarian crisis, it is time to ask ourselves, what is an appropriate response? The days of petitions and marches are over. We need mass civil disobedience and we need it now. We can no longer be compliant with a government that threatens the livelihood of its citizens. We are calling for an Extinction Rebellion on the 31st of October to demand that that the government declare a climate emergency, communicate this with the public and go zero carbon by 2025. This means hundreds of people disrupting society, getting arrested and going to prison. They are willing to make a sacrifice because they know that what this government is doing is fundamentally wrong. And if your conscience says it too, then it is time to join us. Disclaimer: Views, thoughts and opinions expressed in articles belong solely to the author and not necessarily to Wild Magazine or any other group or individual.